"Thank God I've always avoided persecuting my enemies"
Did Hitler really say this? It's possible. But we do not know for sure. We cannot know for sure. The only source is not trustworthy and not reliable. The book located so far – "Hitler's Table Talk", in all its incarnations – as the source for the quote had its content commisioned and authorised allegedly by Bormann and was then published in German by an actual witness of these events, Henry Picker, in a very limited edition. […]They are not stenographic notes but memorandums written postprandially. It is therefor entirely in doubt what was actually said, and no-one can be sure whether Picker was accurate, whether Bormann awas smoothing things over or whether Hitler himself changed anything when glancing over it to authorise it. But as can be seen from the dates this volume is supposed to cover it is not the entire basis for is this book of "Hitler said that". The basis for the quote in question is from an English version published much later! **What is the Table Talk? The Table Talk is purportedly a transcription from notebooks written in shorthand by at least two secretaries to Hitler, Heinrich Heim and Henry Picker, who were instructed by Hitler's right-hand man Martin Bormann to record for posterity whatever Hitler said in his bunker in Berlin, usually during meals or tea. In addition to official matters, they recorded things he said off the cuff, each logged by date and time (like "morning," "afternoon," or "evening"). So far all accounts agree. Beyond this is some confusion that an enterprising historian will some day have. That may be difficult, since much is said by Genoud and Trevor-Roper without a word as to how they know it. No sources or documents are cited. One might readily question the authenticity of such a text, given the conflicting versions and questionable chains of custody in this case and the abundance of other forged works purporting to reveal the secret thoughts or plans of Hitler. But it is likely the notes were real. There are two completely independent manuscripts, and a fragment of a third; and all agree in such a way as to corroborate the existence of a genuine original. The fragment consists of forty-two typed pages in the Adolf Hitler Collection at the U.S. Library of Congress, which are probably authentic. Scribbled in handwriting atop the first page of these is the brief remark: "Found by Mr. Jos. Schrasberger, München, Herzog Wilhelm Straße 4." This is probably part of the lost copy of the Bormann manuscript (discussed below). Finally, Werner Jochmann's edition of the text includes an introduction citing notes and letters confirming the Table Talk was indeed being made and collated during the war. Picker, of course, was an eyewitness to this affair, and says in his first introduction (33-34) that Heim had been authorized by Bormann to go beyond his official duty to transcribe Hitler's spoken orders and decisions and to include whatever else interested him, and this authority passed to Picker during Heim's brief absence. Picker says Hitler actually looked over his record on occasion and approved it as accurate, yet didn't realize how often these notes were being taken. He also reports that the official notebooks collated by Bormann were lost in the "confusion of the surrender." These would turn up a year later in Genoud's possession, and some pages from a copy of this apparently ended up in the Library of Congress. But Picker retained his own original notes and those made by Heim before him. Trevor-Roper's edition claims to be working from a version of the notebooks extensively edited and collated by Martin Bormann, called the Bormann Vermerke ("Bormann Notes"), which until recently existed only in the private collection of Franqois Genoud. Genoud relates in his 1952 preface that the thousand-page monstrosity had a note at front in Bormann's handwriting: Bitte diese-später äußerst wertvollen-Aufzeichnungen sehr gut aufheben, "Please preserve with the greatest care these notes of a capital interest for the future" (Jochmann publishes a facsimile of this note opposite his title page). According to Jochmann's introduction, these were to be the "official" notebooks, collated and edited from the originals by Bormann and published as a definitive party manifesto for the victorious Reich. Unlike Picker's, the Bormann text continues to 1944. Since Picker received his copy of the notes from Heim upon replacing him until Heim returned, he did not have access to the remaining notes taken after this tenure. Jochmann and Trevor-Roper (in the preface to his third edition) both relate (among many other details) that the Bormann-Vermerke was sent piecemeal from Bormann to his wife Gerda. Another copy reportedly went to an office in Munich, which was likely destroyed by allied bombing, apart from the pages recovered by Schrasberger. Gerda fled to Italy with her collection of the notes in 1945 and died there in a detention camp in 1946. A local Italian official then acquired the manuscript, which he sold to Genoud around 1948. That manuscript is the basis for Jochmann's text, as well as Genoud's and Trevor-Roper's translations. Which Version Should We Trust? There are so many published versions and editions of these notes I gave up attemp to track them all. In general, there are four major versions, each with its ow advocate: Henry Picker (1951, 1963, 1976), Francois Genoud (1952), H. R Trevor-Roper (1953, 1973, 2000), and Werner Jochmann (1980). Of these only two offer the original German (Picker and Jochmann). Genoud, a Swiss banker a lifetime Nazi, offers his own French translation. Historian Trevor-Roper presen the English translation of R. H. Stevens and Norman Cameron. From the isolated comparisons I made, Trevor-Roper's English appears to be an almost verbatim translation of Genoud's French. 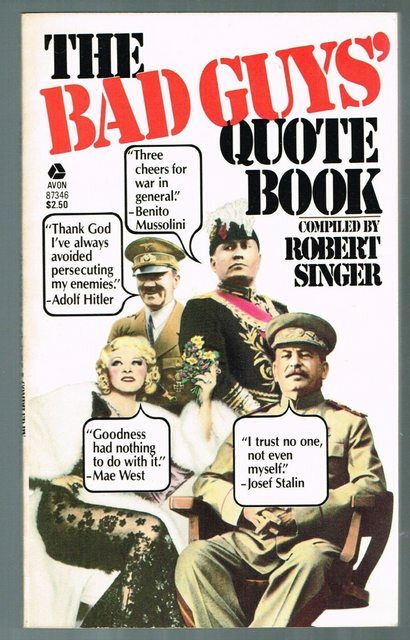 Yet the title "Hitler's Table Talk" is a direct English translation of Picker's title, not Genoud's, and Trevor-Roper's preface claims the translation was made from the German original of Martin Bormann. Genoud's version ends in 1942 (his preface declares an intent to publish the rest in a second volume, which never transpired), as does Picker's (who did not have any material beyond 1942), while Trevor-Roper and Jochmann continue with entries up to 1944. Assuming any published text is a genuine copy of these notes, Picker's edition (especially where it agrees with Jochmann) carries the strongest claim to authenticity. It contains the actual German, and was the first to be published, a year before Genoud, and though Genoud procured a lengthy but essentially trivial preface from Robert d'Harcourt of the Academie Franqaise, Picker had the involvement and auspices of a major university and Hitler historian: "Arranged on behalf of the German Institute for the History of National Socialism, initiated and published by Gerhard Ritter, professor of history at the University of Freiburg." Moreover, Picker was one of the actual stenographers (from 21 March 1942 to 2 August 1942), and thus transcribed many of the notes himself in the very presence of Hitler, making him an eyewitness with access to the notebooks of his predecessor Heim, which he says he acquired directly, bypassing the editing of Bormann. Picker's second and third editions also contain several testimonials to the text's accuracy and authenticity by fellow bunker officers, including Gerhard Engel, and also a testimonial by historian Walter Mediger who checked the first edition against Picker's own transcripts and "made corrections" accordingly, testifying to the accuracy of the new edition in relation to those notes. Picker asserted in his first edition that [translating Picker's German] "a sufficient number of the staff at the FHQ lives to be able to testify to the authenticity of the recordings of the table discussions, since Hitler spoke rarely at table on military affairs," and to demonstrate his personal knowledge he gives a detailed description of the bunker and meeting. There may be a clue on the website of the controversial historian David Irving. He relates how Genoud attempted to hoax him in the 1970s with what appeared be a forgery of "Hitler's Last Testament," which Genoud published earlier. Irving even claims he got him to confess to forging this "testament," Genoud declaring in his defense "But it's just what Hitler would have said, isn't it?" Irving's story throws a lot of suspicion on Genoud as a man willing to perpetrate a hoax, thinking it permissible to fabricate the words of Hitler if it was what he believed Hitler "would have said." Such a man would likely have no scruple against altering and insert words and remarks into the Table Talk. Further study of Genoud's history and motives, and the nature of the distortions he introduced into the record, would be worthwhile. He appears to have been a very strange man with a colorful history: a Swiss banker and Nazi spy who laundered money for the Third Reich, a self-professed neo-Nazi right up to his suicide in 1996 (though never an open supporter of the holocaust), a voracious purchaser and profiteer of Nazi archives, and an admitted financer of terrorists."' But I will leave it to more able historians to explore the facts of his life. Whatever Genoud's motivation for doctoring the text, the fact that Stevens and Cameron's English translation matches Genoud's falsified French (as we shall see), and not the actual Bormann-Vermerke published by Jochmann, leaves many questions unanswered. Were they lazy? Duped? Accomplices in crime? Whatever the case, the Trevor-Roper edition is to be discarded as worthless. […] It is sufficient to note that, whatever his beliefs were, they are distorted in Genoud, and these distortions among many others were retained in the text of Trevor-Roper. Yet that is the only English translation of the Table Talk in print, and few know how worthless it is. This article examines the publication of the famous ‘Hitler’s Table Talk’ and ‘The Testament of Adolf Hitler’ as well as the role of British historian Hugh Trevor-Roper in this process, including his relationship with the Swiss banker Franc ̧ois Genoud – the owner of the ‘original’ manuscripts. The article is based on research utilizing Trevor-Roper’s personal correspondence and papers; material that has never before been used to investigate this matter. Besides shedding light on many previously unknown details concerning the publication of these documents, the article shows how Trevor-Roper consistently failed to enlighten his readers about central source-critical problems connected to the documents he was validating. He did so on numerous occasions and through several editions of the sources, even though his personal correspondence shows that he was well aware of the problems. The article argues that Trevor-Roper chose not to reveal these problems in public so as not to upset his business relationship with Genoud so that he would gain access to further documents in Genoud’s possession. These findings rule out any reliability at all for the given text overall in English versions. As indicated in the early review, even the German text contains factual errors, impossibilities and a huge lot of lies, seemingly or really from Hitler's mouth. The claim in question is quite openly to see just a lie. The context in which it appears is full of those lies, errors, or inaccuracies. Just a few lines above the claim he prides himself of his treatment of Noske and Thälmann. Both were not persecuted? Both went into KZs, Noske a little later, but Thälmann in 1933 already, dying in a concentration camp after numerous tortures and the usual niceties a KZ has to offer. The factual accuracy of the statement's content is: "not true". But did he say it, regardless of truthfulness, what is claimed he said in the German versions of the text? German historian Peter Longerich concludes in "Hitlers Stellvertreter. Führung der NSDAP und Kontrolle des Staatsapparates durch den Stab Heß und Bormanns Partei-Kanzlei. K.G. Saur: München, 1992" p 6 that Bormann papers are so unreliable and originals inaccessible, that they have to be viewed with "skepticism". Fact is indescernible from fiction and without external evidence, not a single word from the book can be trusted. The German original was written, and rewritten by Nazis and revisionists, during the war and after it. All foreign translations were written, rewritten and expanded, sometimes demonstrably doctored, by either revisionist right wingers like Genoud or very greedy and sloppy, if not downright fraudulent historians like Trevor-Roper. Newer editions of varying quality and state of the underlying text are now published by a well known right-wing revisionist publishing house in Germany, not known for having anything reliable on offer, completing the circle. "That's why it's crazy of Spain to persecute genuine Falangists." Deshalb ist es so töricht von Spanien, daß sie die Männer der Falange festsetzen! Ich habe mich davon Gott sei Dank immer freigehalten. That is why it is so stupid of Spain that they arrest the men of the Falange! Thank God, I always kept myself clear of such things. That means if Hitler said that, it is only referring to intraparty oppositional forces while the English version might be read as much more general claim about everything enemy. This only compares the 1937 coup within the fascist factions that secured Francos power to Hitlers policy towards his party members, like Goebbels, who was initially opposed to Hitler as Fuehrer within the NSDAP. Again, content wise this also untrue as evidenced by the Night of the Long Knives. Although it may be interpreted as him referring to Franco imprisoning his party internal opponents while Hitler just ordered them killed right away? Maybe? We have no reliable proof in either direction. Except, that he almost certainly did not say what appears in the English translation. The way the English version is quoted out of context gives certainly a wrong impression of the intended meaning that was in the source material. Hitler said something that night in 1941.
the Nazi Heim wrote some of that partially down the next day, in his words: "as best as he was able to capture and recall the gist of it, often failing to do that reliably". Hitler and Bormann went over that to approve and redact it. Picker and Heim assembled some of the stuff after the war. That material is considered unreliable in principle by leading historians – including the editors of this material. The English version translates that last French version and gets endorsement from a systematically sloppy historian. That version is then quoted in the book of the claim in question but now even completely out of the context which was already unreliable at the source. What comes closest to what he might have said in 'a' German original is not from steganographic note-taking in the event but stemming from minutes from memory written some time after the fact. That still cannot be read in the overreaching fashion of the English translation in the claim. If the German version is a genuine quote, it seems to refer specifically – and falsely – to his treatment of opposing party members, not to every kind of his enemies. Yes, Hitler did say that, on the night of September 28-29, 1941. Not the answer you're looking for? Browse other questions tagged quotes adolf-hitler . Did Hitler survive until 1962? Did Hitler only have one testicle? Was everything Hitler did in Germany legal? Did Al Pacino say “I asked God for a bike…”? Did Theodor Herzl adhere to Spinozism?